Games Workshop's next big release comes in the form of the pain-obsessed Dark Eldar. These sadistic cousins of the Eldar are one of the darkest parts of the grim dark future. TGN's Enrico Nardini takes a look at what's been shown so far and gives us his thoughts on the subject, along with a bit of the history behind the nasty space elves. We also get to break out a spiffy, new banner, which is always nice. 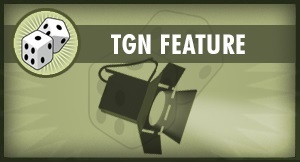 It's a TGN Feature. This one's on the new Dark Eldar. The new Dark Eldar miniatures slither out of the webway in two days, striking terror in the hearts of mortal men. The current focus is on the flesh shaping Haemonculi and their warped servants known as Wracks. Each of these will be receiving new plastic models on the September 27th. Torture Masters - The fall of the Eldar race brought about the birth of the daemon god Slannesh. That birth-link has forever entwined the fate of the Eldar with She Who Thirsts. They are so intrinsically connected that when an Eldar dies, their soul risks being consumed immediately by the thirsty deity. The Craftworld Eldar “solved” this problem by creating Soulstones. Special devices that capture an Eldar’s essence upon death. The Dark Eldar solution is much less benign. In their desperate attempts to avoid oblivion, they sacrifice the souls of others to stave off their own fate. Unfortunately for their victims, the souls must be in a suitable state of agony to be accepted. Thus, in step the Haemonculi; their mastery of anatomy and flesh-craft make them the ultimate torturers. Keys to Immortality - Haemonculi have discovered a means to revivify recently deceased Dark Eldar. Once again, tortured souls fuel this economy. This secret is jealously guarded by the covens, and they demand high prices from the kabals. A price that ranking members in the kabals are, of course, all too eager to pay. Wracks are servants of the Haemonculi. They are constantly enduring body modification and the strange experiments of their flesh-crafting masters. Weirdly, many Dark Eldar choose this lifestyle. Some are forced into it through debt or obligation, but many desire the power a Haemonculus can grant. 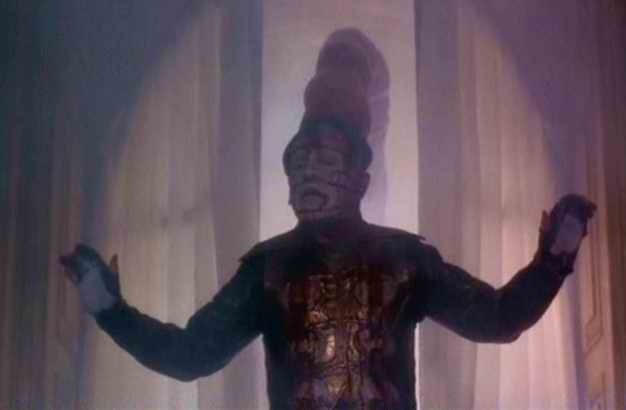 You may be noticing a number of quotes from Clive Barker’s Hellraiser, but if you are familiar with this film or the book it is based on (The Hellbound Heart), you have probably already made the connection. Dark Eldar Haemonculi and Wracks share many similarities with the Cenobites in Barker’s story. The appearance is uncanny, body-fitting, corset-like outfits, a plethora of hooks and limb flaying serrated knives, all completed with tortured knots of flesh. Check out the new Haemonculus miniature’s trailing spine, and tell me it doesn’t bare at least a passing resemblance to Hellraiser 2’s Dr. Channard. I’m not against this by the way. Everything is derivative of something, and GW has always been “inspired” by the best in science fiction and fantasy. 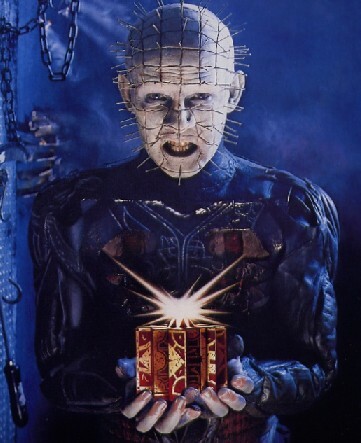 I’m a huge fan of the first two Hellraiser movies, and I definitely like that these miniatures share that appearance. One creepy metaphorical tie with the real world is the life of the Wracks and the increase in popularity of surgery by choice. Surgery by choice usually comes in the form of plastic surgery to enhance appearance. Some can become so obsessed with these surgical body modifications that they develop a surgery addiction. If that doesn’t sound like a Wrack, I don’t know what does. The Haemonculi would, of course, undoubtedly be the doctors. Even the Archons’ obsessions with immortality can be seen as a metaphor for our youth and image obsessed culture. How will the Haemonculi and Wrack’s horrific origins be reflected in the rules? The Wracks of the previous Dark Eldar codex were a melee oriented unit that had access to a few special weapons appropriate for assault. They wield poisoned weapons and are a bit tougher than the average Eldar. By the looks of the new models, this seems to remain the case. The Haemonculus and Haemonculus Ancient could equip a number of exotic weapons and items and gave the player access to Wracks as a Troops choice (as opposed to Elites). I hope that the Dark Eldar will retain their signature Power from Pain rule. This allowed Dark Eldar units to become more powerful if they wipe out an enemy unit. The Haemonculus and Wracks would gain a pain token automatically, allowing them to begin the game with Feel No Pain, a very flavorful rule (considering the unit) indeed! 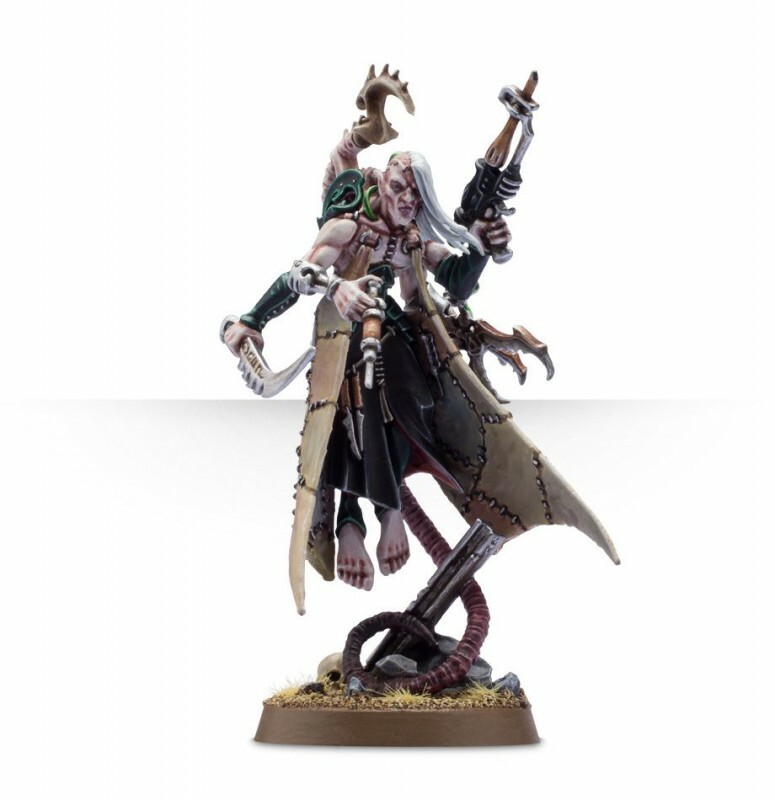 The new Haemonculus and Wracks are nice looking new miniatures, but as with any bargain involving souls, the price is steep. The Haemonculus costs $26.00. That’s for one infantry-sized, multi-part plastic, 28mm miniature. Games Workshop is hoping that players will want to push the bounds of torment badly enough to shell out for these new tortured souls. The question is whether the players will be willing to endure the pain in their wallets. 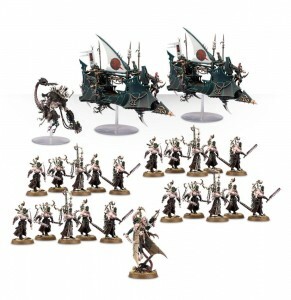 Do you have an opinion on the new Dark Eldar releases? Leave a comment below!